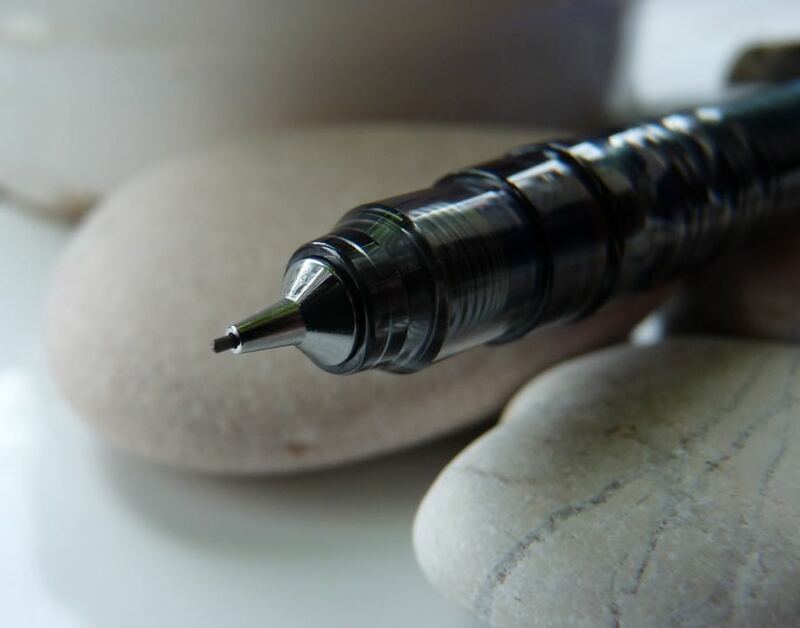 Zebra Delguard Mechanical Pencil Review – Pens! Paper! Pencils! 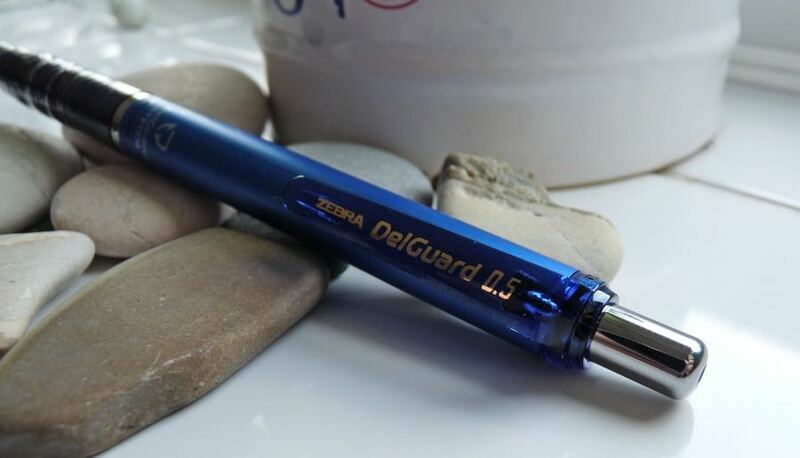 I bought my Zebra Delguard pencil after reading a fantastic review on Bleistift. It looked so fascinating I had to try it out for myself. The Delguard is a comfortable pencil to hold. 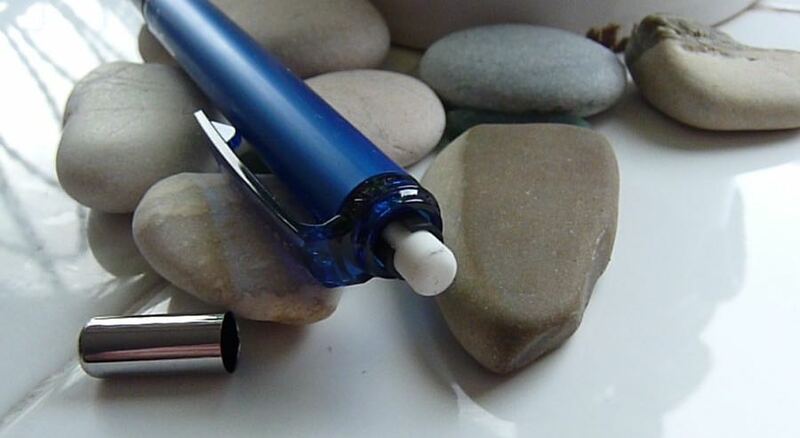 The hard plastic grip has gentle ridges (more like waves) which makes it comfortable to hold securely. It’s a fairly standard length and width and light in weight. The eraser is the usual almost-useless tiny thing. It does erase, which is something. The clip, although fairly strong, is plastic and therefore prone to breaking. This pencil’s USP is the moveable sleeve. If you press down at an angle, the sleeve extends to protect the lead. This means it’s just about impossible to break the lead unless it’s overextended. Hopefully this video will show you what’s going on. For a much more involved video about what this is all about please do go and have a look at Bleistift’s review. 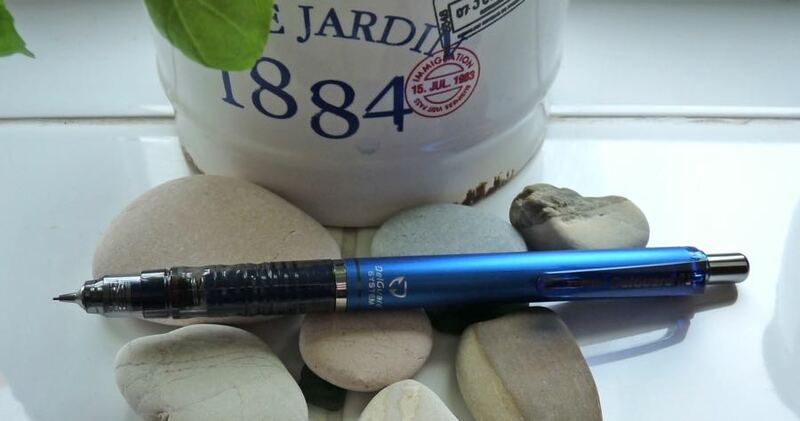 It certainly works as advertised and it’s not a bad pencil in itself. The question is: is this a problem that needs a solution? I’m not convinced, myself. Maybe it’s just the way I use my mechanical pencils but I don’t find the lead breaks often enough for me to need a special mechanism to stop it. It’s the same with the Kuru-Toga: it’s very clever but it’s solving a problem I don’t have. That said, it’s a good value pencil in itself and you could view the moveable sleeve as a nice-to-have bonus. 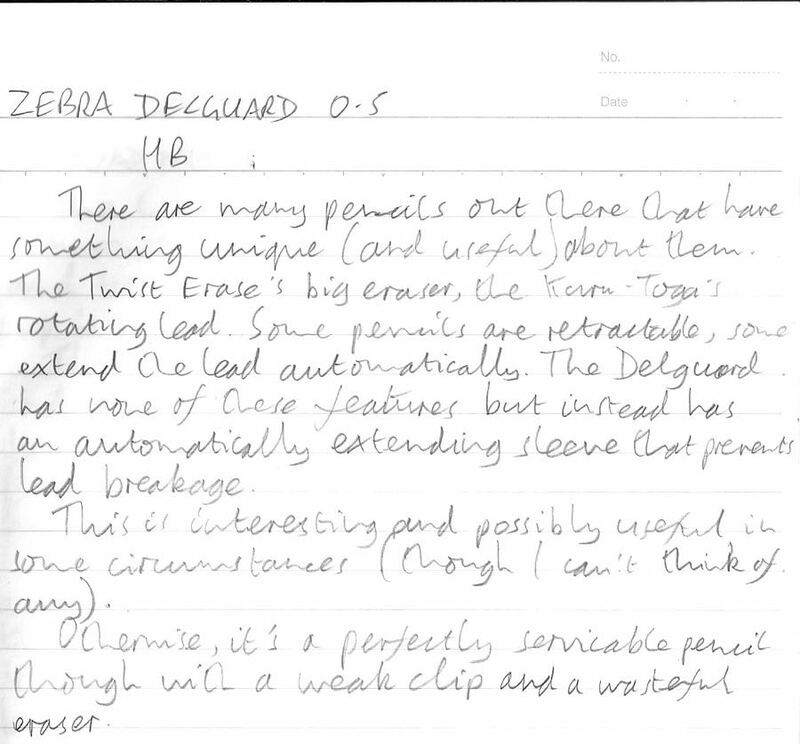 You can find some more reviews of the Zebra Delguard on Pennaquod. Thanks for your review and for your link and the praise. It is very much appreciated! This is much better to use in 0.3 mm. It is a good pencil to use on hand.